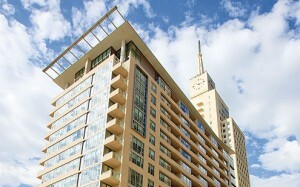 If you are looking to rent an urban mid rise or high rise Downtown Dallas apartment, check out 1800 Main! 1800 Main, once known as the tallest building in Dallas, is close to trendy shops, boutiques, and restaurants. Forest City acquired the building and transformed the once empty building into a vibrant residential district at the Mercantile Place on Main. 1800 Main offers mid rise apartments in Dallas at The Element new construction development and Downtown Dallas High Rise Apartments at The Merc. 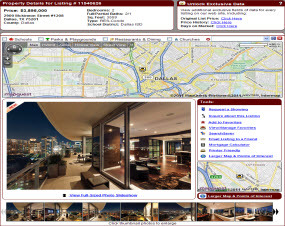 The Merc at 1800 Main in Dallas lease 213 Dallas High Rise apartments featuring one and two bedroom floor plans ranging 700 – 2600 square feet. The Mercantile on Main in Dallas offer 24 hour concierge, swimming pool, fitness center, billiard room, poker room, club house, cinema room, elevators, gated access with attendant, and other luxury Dallas apartment amenities. The Element at 1800 Main in Dallas is a 15 story new construction building built in 2009 offering 153 Dallas apartments that link to The Merc via a shared amenity core and courtyard. The Element apartments in Dallas feature a Mid 20th century style influenced by Joseph Eichler with glass and open metal framework. The Element interiors include oversized windows, soaring ceilings, grainite counters, stainless steel appliances, subway tile, and wood flooring. The Element property amenities include courtyard pool with sun deck, outdoor fireplace, 24 hour fitness center, gameroom with foosball/billiards/flatscreen, theater room 24 hour front desk and garage parking. If you are interested in learning more about The Merc or The Element apartments in Downtown Dallas, please contact one of our Dallas apartment locators. DFW Urban Realty can assist with renting all types of apartments in Dallas including urban lofts, townhomes, mid rise condos, and high rise condo apartments. 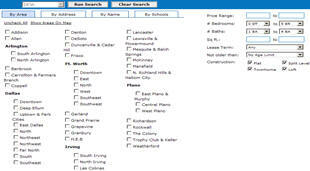 Ask one of our Dallas rental locators about special rebates and incentives including a Dallas apartment cash rebate up to $500.00.